Enjoy French-Belgian cuisine at the new Brasserie Flo Antwerp restaurant and experience spectacular views of the Cathedral of Our Lady. 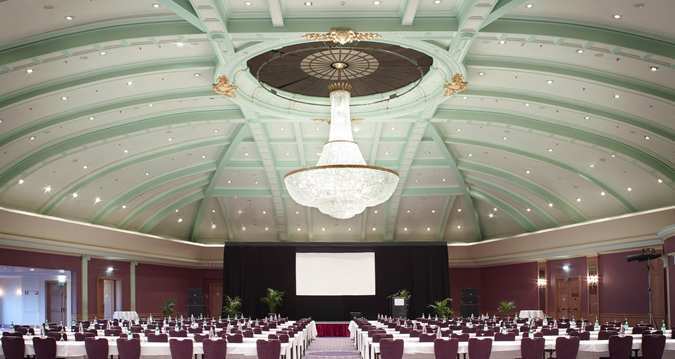 Host an event in the stunning Belle Epoque Ballroom, the largest hotel ballroom in Belgium, or discuss business in one of the 13 meeting rooms. 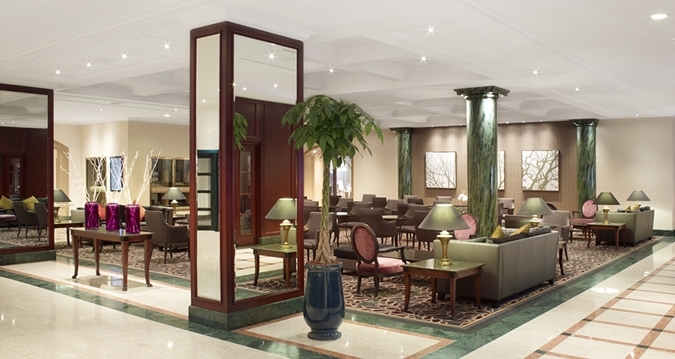 After exploring the stunning city of Antwerp, relax with a refreshing cocktail or a malt whisky at the bar of our Brasserie Flo Antwerp or indulge in high tea served in the refined Lobby Lounge. Rejuvenate in the fitness center or retire to a comfortable guest room with 32-inch LCD TVs, WiFi and bathrooms with separate bath and shower. Upgrade to an Executive Room to enjoy access to the Executive Lounge with a private outdoor terrace overlooking the historic city. 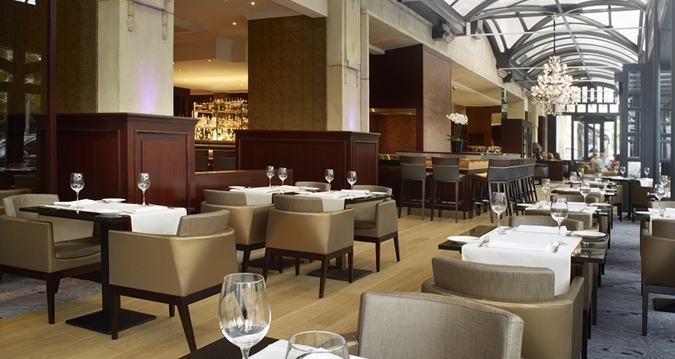 The Hilton Antwerp Old Town hotel also has a variety of stylish and spacious suites available, with separate dining and seating areas. 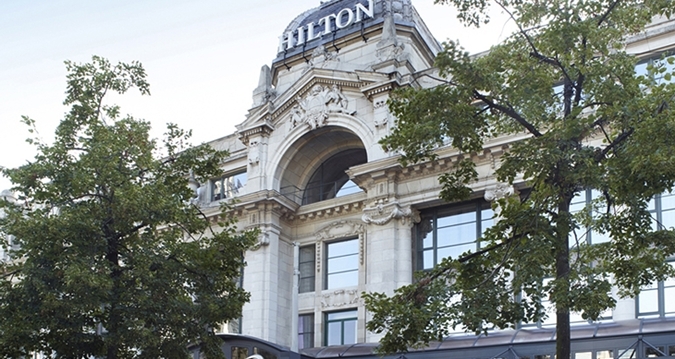 The Hilton Antwerp Old Town hotel is set on Groenplaats, Antwerp’s most famous town square and is surrounded by a variety of Antwerp attractions. 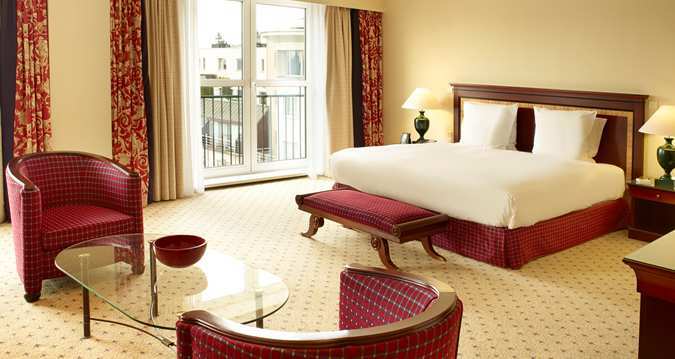 Guests staying at the Hilton Antwerp Old Town hotel will find top attractions including Antwerp Zoo, the National Maritime Museum and the Cathedral of Our Lady on their doorstep. Visit the MAS Museum and Rubens House Museum or discover Antwerp’s best fashion retailers and the fashion museum. Located in the vibrant center of Antwerp, this hotel boasts easy access to Antwerp’s finest shops and restaurants and the exclusive Diamond District and Diamond Museum.